Want to backup text messages on iPhone X/iPhone 8 (Plus) but don’t know how? Read on this guide to see how to backup text messages on iPhone X/iPhone 8 (Plus) with ease. Download this #1 iPhone X/8 backup tool prior, and then read this guide to see how to easily backup text messages on iPhone X/8 with it. It is also capable of making backup of photos, videos, music, notes, etc. Text messages on our iPhone record plenty of valuable information and good memories in our daily life. But it’s quite easy to lose all or some of our text messages due to various unexpected reasons. So, it is very necessary and important to make a full backup of those text messages on our iPhone. In this case, we can easily get our precious text messages back if we accidently lost them. And here in the following, we will share you 3 different methods to help you backup messages on iPhone X/iPhone 8 (Plus), including 2 traditional ways and 1 simpler yet more efficient way. You can try the three ways to figure out which way is best for you. AnyTrans is the first choice for most of iPhone users to backup text messages/iMessage, as it is stable, time-saving and labor-saving. 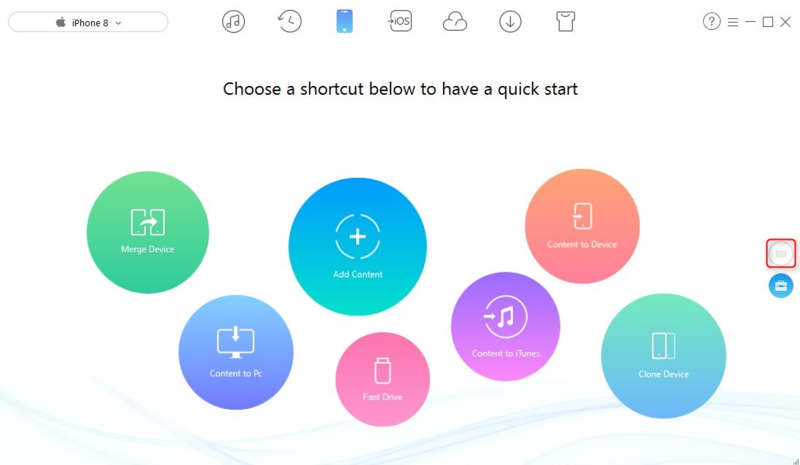 Compared to iTunes and iCloud, below are its outstanding features. 1. It supports saving text messages/iMessages on iPhone to computer in some readable and printable format, like PDF, TXT and HTML, which make it possible for you to view them anytime you want. 2. It allows you to preview and selectively backup text messages on iPhone. In this way, you can select the most important messages to backup to your computer, but not all files. 3. 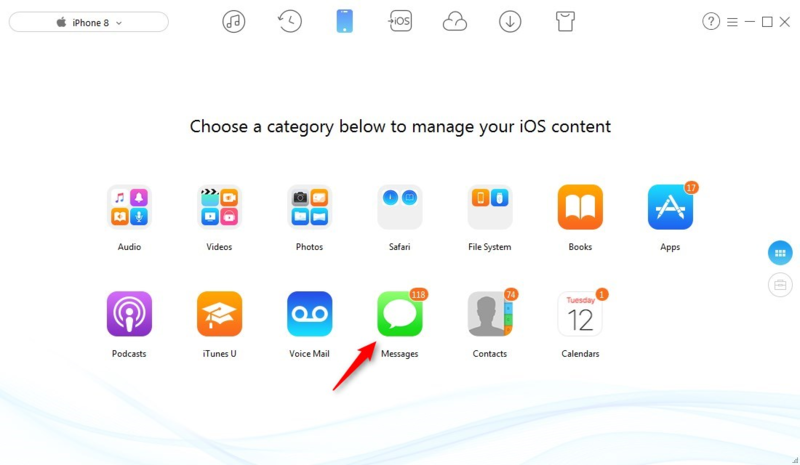 It also allows you to copy text messages from iPhone to iPhone/iPad. 4. Besides text messages, it also enables you to backup other up to 24 types of iOS files, including photos, videos, music, contacts, notes, etc. Step 1. Download AnyTrans and install it on your Mac/PC > Launch it > Connect your iPhone to the computer with its USB cable > Go to category page. Step 2. Click on Messages. Step 3. 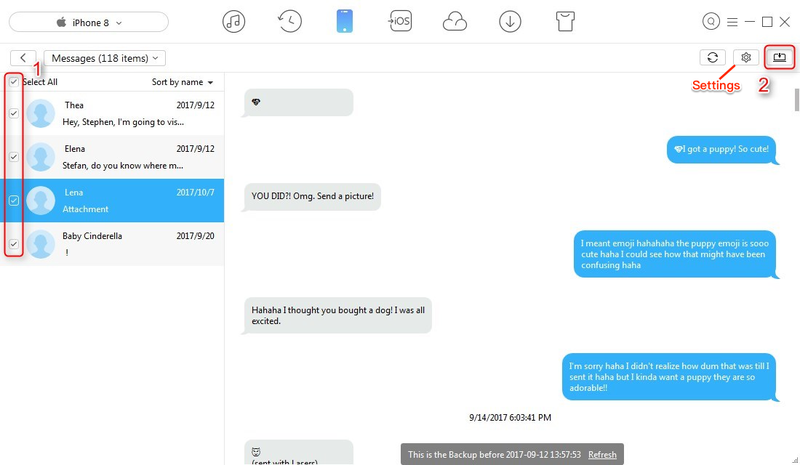 Preview and select the messages you want to backup to your computer > Click To Computer button on the upper right to backup them now. Before transferring, you can click Settings on the left side of To Computer button to set the output format and export path. It is worth mentioning that when backing up messages via iTunes, all your other files on iPhone will also be backed up. In addition, you are not allowed to view and read the text messages in iTunes backup. If you just want to backup text messages only, refer to Method 1 to make it. Step 1. Open iTunes on your computer > Plug in your iPhone to the computer and you will see an iPhone button. Step 2. Click the iPhone button, then another window will show you your device information > In the Backups section, choose This computer > Click on Back Up Now to start the process. Step 1. Connect your iPhone to a stable Wi-Fi network. Step 2. Go to Settings > [your name] > iCloud. Step 3. 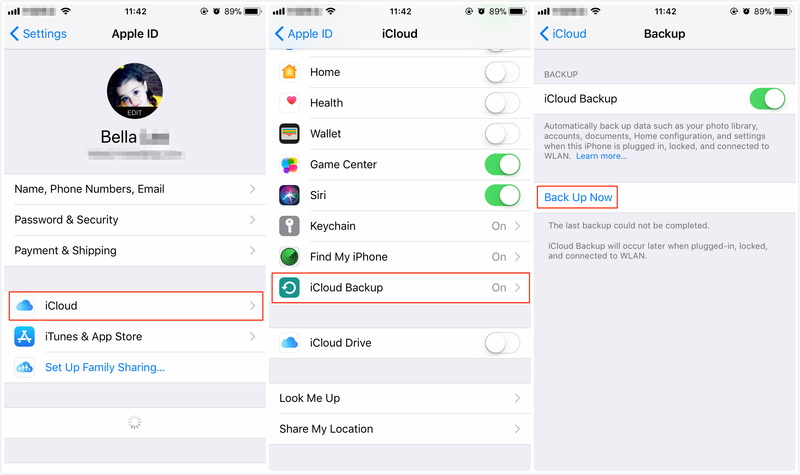 Choose iCloud Backup > Tap Back Up Now. After the process completes, you can check the date and time of your last backup under Back Up Now. As you can see, iTunes & iCloud just offer a direct way to back up all files on your iPhone X/iPhone 8 (Plus). If you want to backup your text messages only, turn to AnyTrans to help you easily make it.